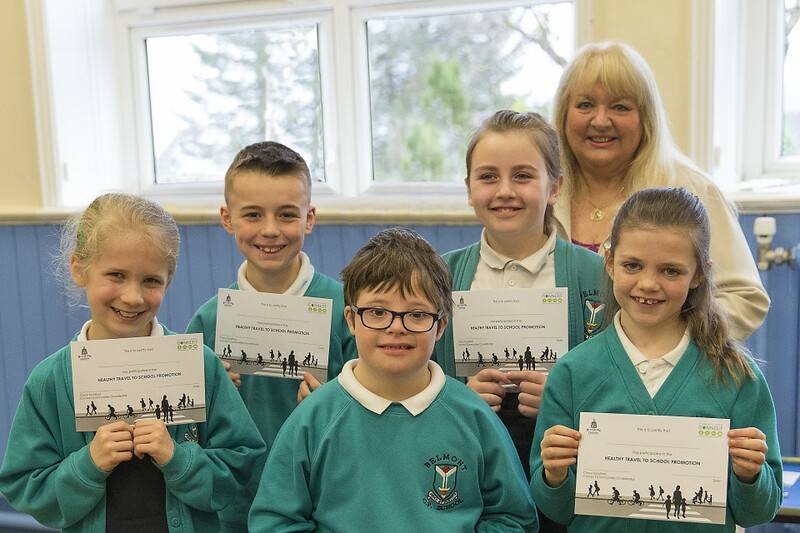 For one week 100% of children attending Belmont Primary school either walked, cycled or used a park and stride facility to get to school, promoting healthier modes of transport and positive road safety practices. Every day, come rain or shine, parents, pupils and staff could be seen making the effort to enjoy the health and social benefits of the scheme. I have been co-ordinating Healthy Travel to School initiatives with many schools across Blackburn and Darwen since 2008, however, Belmont Primary School is the first school to have every child either cycle or walk, even if it was part of the way, to school during this promotional week, with more pupils now walking to school on a regular basis. What has been achieved at Belmont Primary School is just fantastic and all staff, pupils and parents should be very proud of themselves, they are a great example of how working together can achieve great results.